April saw a drop in the number of new cars being registered for the first time in a long time. This was down to the changes in vehicle tax that came in on 1st April and because March saw a huge rise instead. That being said, April was still a successful month and here are the most popular cars registered in the month. Three of the top five most popular cars registered in the UK in April are available to lease through Cheap Car Leasing. 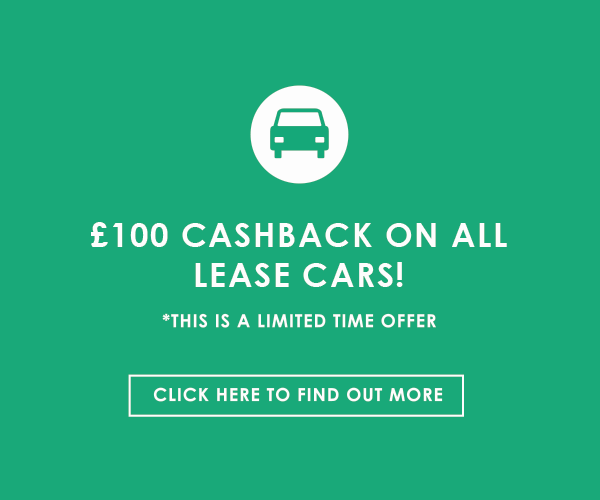 We specialise in offering great cheap lease deals, with additional deals for those with poor or bad credit and no deposit car leasing. If you like any of the following cars, we do have them ready to drive away in. The Vauxhall Corsa is one of the most popular small cars on the market and regularly wrestles with the Ford Fiesta for that top spot. The current model was redesigned three years ago in 2014 and has been a massive hit. The new look is unique, sleek and modern. The inside is just as smart and stylish, in fact, it trumps many of its rivals in how good it looks. In comparison, the Ford Fiesta interior feels a little dated. There is more space inside this model of Corsa compared with previous models, easily fitting in four adults comfortably. You have the choice of a practical five-door or a sporty three-door. In the boot, you get a capacity of 285-litres of space. Depending on the model of Corsa you choose, you can go from being sparsely equipped to fully equipped. Basic models only have central locking, electric door mirrors and a stereo. Higher models get air-conditioning, leather-wrapped multifunction steering wheel and an infotainment system with a seven-inch colour touchscreen. Nissan Qashqai is the leader in the affordable SUV market, being the original crossover, combining the looks of an SUV with the price and running costs of a hatchback. The current model has been upgraded to feature a higher-quality cabin, which delivers on more practical space and handles much better than previous editions. Inside that new, stylish cabin, you get well-used space that easily fits four adults inside it without worry. The materials used inside are of a much higher quality than previously used thanks to the use of shiny black plastics and polished aluminium trim. Whoever designed the dashboard knows where everything needed to be placed to ensure the driver isn’t fiddling around when on the move. The boot of the Qashqai originally delivers 430-litres of space and if you drop those rear seats flat, that increases to 1,585-litres of boot space. When it comes to driving this SUV, you get beautifully controlled body control and the steering is both light and accurate, making it perfect for city and motorway drivers. The ride is impressively smooth, soaking up the bumps of the road. The Chassis Control System uses electronics to adjust the handling and ride comfort. This is a responsive and refined vehicle. Ford enters the list at number three with the Ford Focus. The Ford Focus is the best-selling compact family car of all time, beating out its rivals. This is an extremely recognisable car thanks to the smart, sharp exterior design, ensuring it stands out on the road. But as other reviewers have said, the true potential of this car is behind the wheel. Inside the Focus, you get a well put together dashboard that is slightly behind its rivals due to the use of older materials. However, it does have plenty of space for adults in terms of headroom and legroom in front and rear. There are also plenty of cubby holes available to store items in. The boot provides 316-litres of boot capacity with the seats up as standard. If you drop those rear seats, that increases to 1,215-litres of space. But the place where the Focus truly shines is in the performance. Ford has a talent. They can take normal everyday cars like the Focus and sprinkle a little magic into their performances. With the focus that magic delivers fun. The steering is sharp and in the corners, you cannot feel the body roll. The ride is slightly firmer than its rivals, but you barely notice, unless you go on very long journeys. This is the family hatchback for those who enjoy the fun. The Golf was always going to be present in the top five. This car has been a staple of British roads for decades and for good reason. It is one of the best cars ever delivered, constantly hitting the top ratings. It is a direct rival to the Ford Focus and is currently a more updated model than Ford’s offering. Volkswagen ensures all their cars are closer to the standard of a premium hatchback rather than an ordinary one. Everything in the Golf is quality built, with the use of excellent materials putting you in a gorgeous place. If you go for a higher model, you get a tartan seat design. The dashboard is simple and minimalist, ensuring you aren’t bombarded with buttons. There is a 9.20inch centre console screen for the infotainment system and behind the wheel is a 12.3-inch display screen behind the steering wheel to replace the usual binnacle. The passenger space in the Golf is brilliant. Even six-foot adults can easily fit comfortable inside with lots of headroom and legroom. In the boot, you get 380-litres of boot space, which is great. There also plenty of cubby holes and other storage space spread throughout the cabin. Where the Golf dominates is the road. This car is the best hatchback to drive on the motorway and is well balanced in overall terms. There is minimal body roll and the ride is perfectly judged to remove all long distance discomfort. Inside, the cabin is quiet thanks to the overall refinement. This car is the best ride in the hatchback market. Ford is back in at number one with the Ford Fiesta. This car is no surprise. You see them on almost every road and in every car park. It is the best small hatchback available, beating its rivals the Corsa and the Fabia and a new model is coming out later this year. Will it be able to hold its place? It received an exterior design update in 2013, that gave it a more aggressive-looking grille and a boot-mounted spoiler. This gave it a fresh updated look. However, the age of the Fiesta is beginning to show after nine years in service. The dashboard is simple and smart with a collection of buttons and small infotainment screen. It is smaller on the inside than its rivals but still, offers legroom and headroom aplenty. The Fiesta boot also offers 290-litres of space with those seats up. When you drop those seats, it does increase to 974-litres, which isn’t bad. In terms of performance, Ford adds that sprinkle of magic again. The Ford Fiesta is amazing fun to drive. The gearbox is smooth and the acceleration with it. The steering is light and accurate and thanks to the excellent visibility and small dimensions of the car, the Fiesta is excellent in small spots. The suspension is excellent, even absorbing many of the cobbles and potholes that make up many of our town roads. On the motorway, this car cruises with comfort in mind. It is a brilliant little car and deserves its place as the most popular car registered in April. If you want these cars or others car, we have a great selection of cars available for you to consider. We offer great cheap lease deals that allow you to drive away with a car on affordable monthly payments. Enquire with us and our team will work to get you the best possible deal.